Excellent post Kevin. I'd been trying to find some simple figures on just this topic and you've done it again... well done! 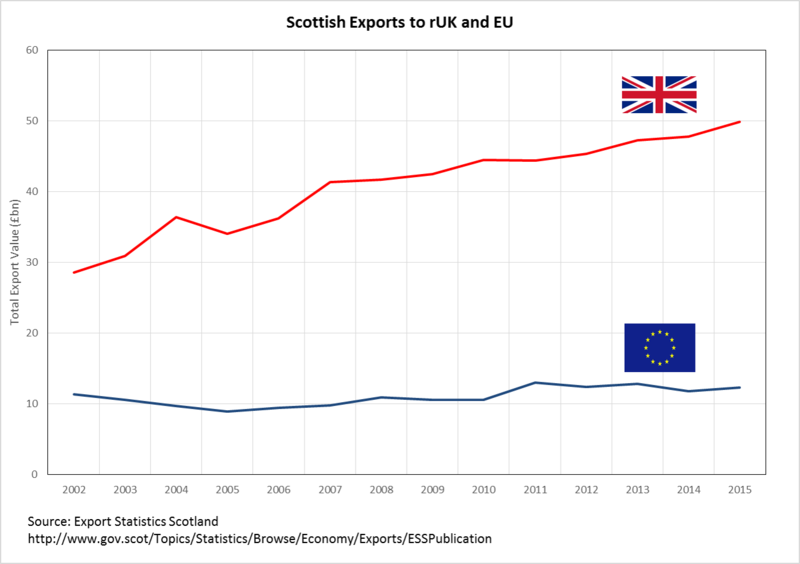 A comparison might be whether rUK would choose to lose a percentage of its exports to the EU, or to Scotland. We'd pick Scotland to give up. Scotland should pick the EU to give up.